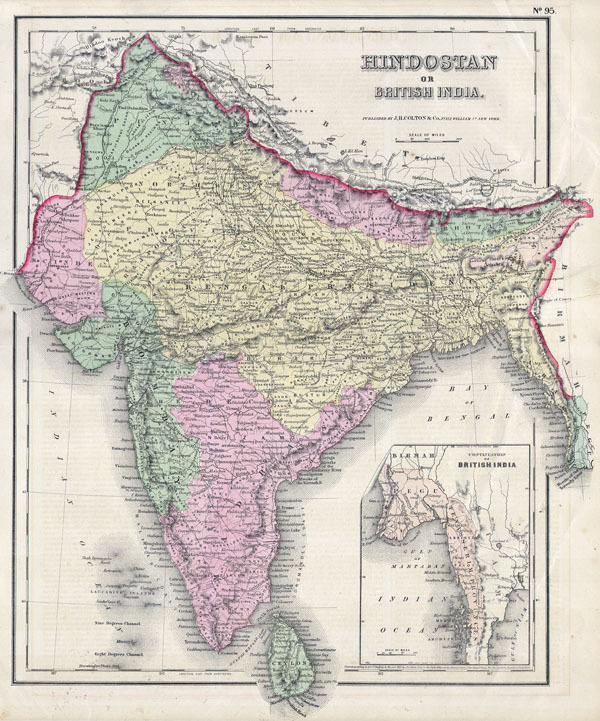 This hand colored map of India or Hindostan is a steel plate engraving, dating to 1855 by the well regarded mid 19th century American cartographer Colton. Map depicts most of what is today modern India and what was, when this map was made, British India. Also includes the province of Pegu or what is now Burma / Myanmar.